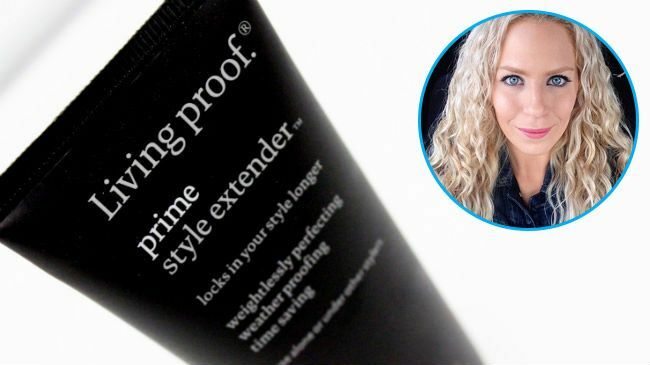 In this article, I will be reviewing some of the stylers in the Living Proof line. 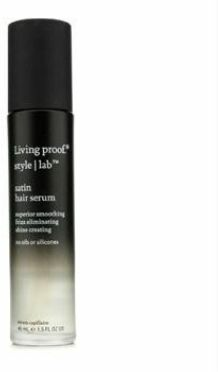 Regarding their styling products, the Living Proof site says "Our Style|Lab products combine effortless style with cutting-edge science. It's our hair stylists' visions combined with our scientists' smarts." and "Our stylists dreamed up products for beautiful hair, and our team in the lab set to work creating solutions that do that and make your styling routine faster and easier than ever." A first-of-its-kind hair primer that extends your style 2x longer. Formulated with our advanced priming system and powered by our patented Healthy Hair Molecule (OFPMA) to create an exquisitely thin, weightless shield which repels dirt and oil to keep hair cleaner, longer, creates an optimal base for all styles and is so perfecting it can be used alone yet so weightless it can be layered under other styling products. For my hair personally, I can't use this product alone. It has no hold and my hair expands more than I desire. But that being said, this is a holy grail product for me. It is an extra step in the after shower styling routine, yes, but I notice such a difference when I use this product vs. when I don't it's a step I am willing to take. I use this after my leave in conditioner and before anything else, applying it section by section. I feel it helps seals any gaps or tears in my hair's cuticle caused my damage so my styling products that follow lay on the hair more evenly and work more effectively. In a pinch I will use this on dry hair too and it helps with some frizz. This is good for those who have thicker , dry or very dry hair. This serves the same purpose as the cream, but made in a spray form to be weightless and not weigh down fine haired peoples. This is too lightweight and for my hair it did nothing. I will stick to the Prime Cream. However, my boyfriend who has fine hair that gets oily and weights down super easy LOVES this version. The cream was too much for his hair but this works perfectly when he blow dries his hair. He is washing his hair less often because of this spray. I think this version is good for type 2a's or 2b's or anyone who does have easily weighed down hair. I don't usually like hairspray, and that is because so many hairsprays leave my hair feeling hard, sticky and/or stiff. This one does NOT, so it has earned a permanent place in my stash! The hold is buildable from a little to strong and does not build up or flake. Flaking was another issue I have had with other hairsprays I've tried before. Though it can be used on wet or dry hair, I usually use this on dry hair, especially when I am going somewhere where I will be outside or my picture will be taken. It keeps my hair from getting overly frizzy and holds my curly waves in place without them feeling hard. This spray also works wonderfully when I wear my hair tied back to help keep the pesky edges down. A revolutionary oil-free and silicone- free serum that provides superior smoothness and cuts styling time nearly in half. Powered by our Sera-Smooth Technology that features our patented Healthy Hair Molecule (OFPMA). Satin provides the smoothest hair possible and unrivalled frizz protection without tradeoffs, adds shine, movement and softness, and improves manageability. For medium to coarse hair types. This is a very lightweight hair serum. I tried using it to seal my wet hair and it did nothing. I do not diffuse my hair or use heat tools often at all but I found that the times I do, I reach for this serum on top of my normal stylers and use about 5 pumps worth (I have a lot of hair) for my whole head and it adds additional heat protection, and shine. It doesn't weigh my hair down at all. 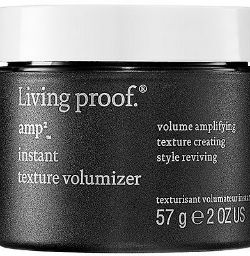 When I use this and diffuse my hair it is not as poofy vs. when I don't use it so that alone makes this worthwhile for me. 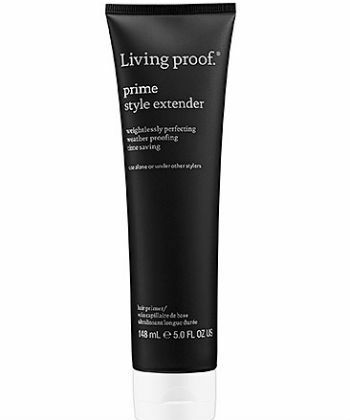 I've also tried this to help frizz on dry hair and it didn't do much, but I think it might be a nice lightweight option to fight frizz for fine hair that gets weighed down easily. A styling cream that can be applied to dry hair for instant volume, touchable texture and flexible hold that is revivable for up to 48 hours. Powered by our Meta-Volume Technology that features our patented Volumizing Molecule (PBAE) which instantly provides volume and texture on dry hair , makes style flexible and remoldable, so hair is never stiff or frozen and remains touchable and revivable for up to 48 hours . For fine to medium hair with layers. I really like this product and I don't use it as the directions might say. This is meant only to be used on dry hair, and that is the part I do follow. I don't look for added volume in my hair, but I kind of like this as a frizz fixer/temporary split end concealer. A little goes a long way- I take a pearl size amount per section of my hair for 4 sections. Mainly focusing on the ends I will mush it in my hair and then do a little scrunch. It helps my curls to stay defined and hides any frizz or split ends that might be going on since I tend to procrastinate my trims. I then take an additional pearl size amount and just smooth it over the top halo frizz on my hair and it helps hold it in place. I like to use this instead of traditional pomades because this is not oily, heavy or sticky. 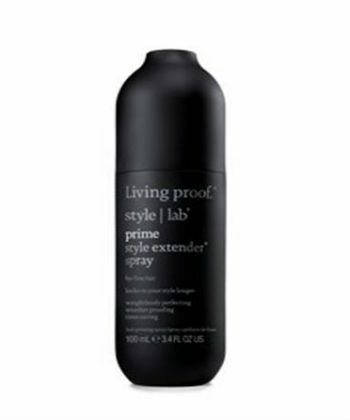 Living Proof also has two other stylers. A spray called "Straight" that is supposed to help keep hair straighter longer, even in humid climates. Because I straighten my hair once a year I have not tried this product. They also have a new Instant Texture Mist that I did not even know existed until I began researching for this article. I am hoping to try that one in the near future, as it is said to give beach definition, bedhead separation or bombshell body and volume. Watch my video product reviews here. A couple of weeks ago I did an in-depth product review of the Restore line from Living Proof, which you can read here.